Carne is one of the main cooks from the floating restaurant ship, Baratie, and is good friends with Patty since both applied for restaurant cooks together. He and Patty became very essential in defending the Baratie when Don Krieg attempted to take the restaurant by force. Like most of the Baratie's cooking staff, Carne prides himself on being a fighting chef; when the restaurant comes under attack by the Krieg armada, he and the other chefs take up arms to defend it. He fights with a large extended knife. 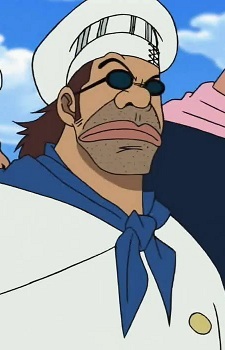 In the 4Kids dub, Carne is given a very heavy Mexican accent not unlike Cheech Marin. Carne is an Italian, Spanish and Portuguese word for Meat.